Budget doesn’t have to be a bad word. Budgets are actually good things. 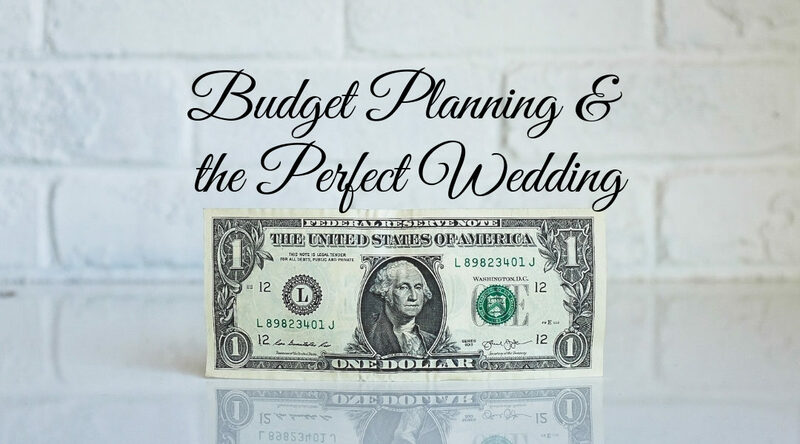 You might think it’s not romantic to talk about a wedding budget when you are thinking about your big day. When you think about living happily ever after with the love of your life it’s wise to make sure you have resources leftover after the wedding. When you work with a budget, you know how much you have to spend on all the touches that will make your day the picture of perfection. Flowers, live music entertainment, catering, venue, and other wedding-related expenses all add up much faster than you think they will. Budgeting helps you prioritize. Your Wedding Budget Sets You Free! You’ll find that a wedding budget sets you and your wedding planner free. When you provide the wedding planner with a budget, they will know how much money they have to work with to assist you. The Wedding Planner will assist you by finding venues, suggesting caterers and bands for the reception, and so much more. It’s the Wedding Planner’s job to help you stick to your budget while realizing your dreams. Some couples find it tough to figure out how to budget for your wedding and your wedding reception. It’s rare that some couples have great intrinsic budget planning abilities but unfortunately many do not. A new trend is that couples are hiring financial planners to help set a budget for their weddings. A financial planner will look at your combined income, analyze your earnings, and take a serious look at your day to day expenses, and then they will help you to figure out how much to spend on your big day. Have you saved enough cash to pay for the wedding? Are you taking out a loan? Is your family helping with the expenses? Is your fiance’s family going to help with expenses? A financial planner will take all that into consideration and help you decide how much to spend. Once you have the full cost of your wedding planned, you can begin to shop! That’s the fun part! You don’t have to worry about cost if you’ve already allocated an amount in your budget! You can just enjoy the process and choose the dress, the live music entertainment, the location, or anything else that you want. All you have to do is to stay on budget. Budgeting allows you to tell your money where to go. It helps you prioritize. It gives you the best day possible and leaves you in a stable fiscal situation to build the rest of your life together. If you’ve set your budget and you are ready to choose live music entertainment for your wedding go ahead and give us a call. We’ll find the right music for your budget!